Hard to ignore these beautiful sunsets. 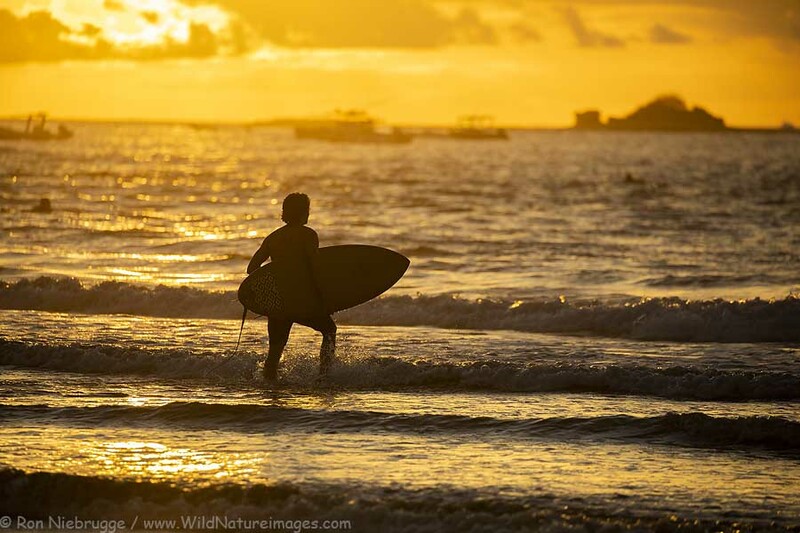 A surfer heading out at sunset, Tamarindo, Costa Rica. Home from a short, but fun trip to Costa Rica! 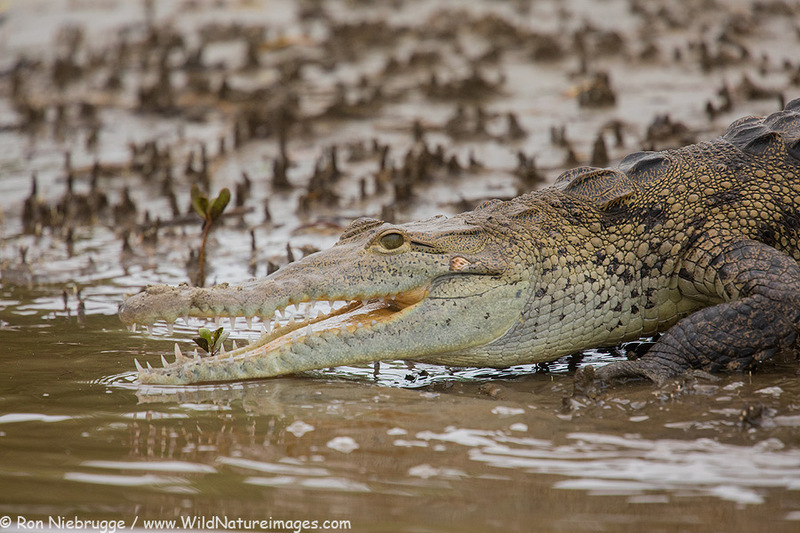 A Crocodile in Tamarindo, Costa Rica. Too bad these cool plants won’t grow in Alaska. 🙂 Red heliconia, Tamarindo, Costa Rica. 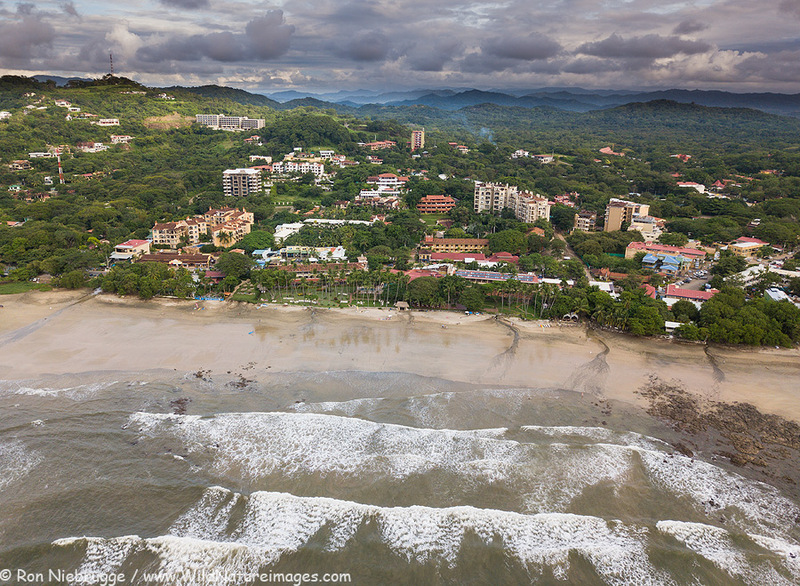 Aerial (drone) of Tamarindo, Costa Rica. 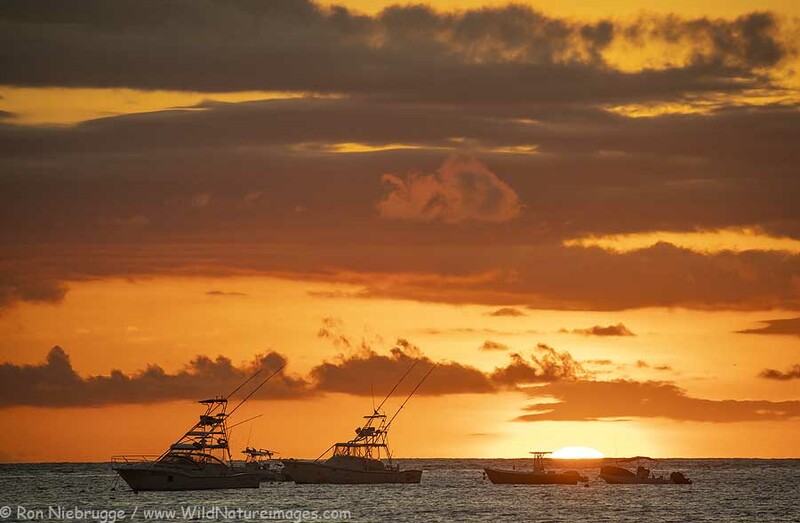 Beautiful Tamarindo, Costa Rica! Now that I’m back home in Alaska, it is hard to believe I was surfing here 24 hours ago. 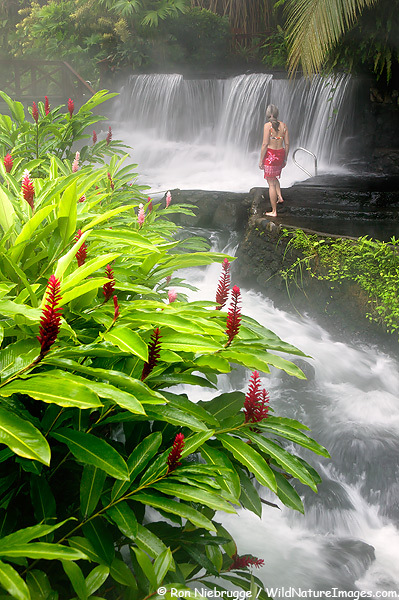 Stream flowing through Tabacon Hot Spring Resort and Spa, Costa Rica. I can’t believe it has already been 13 years since I last photographed in Costa Rica! Time sure flies – looking forward to getting back to this beautiful country this week! Since I’m doing lots of office work right now, and not getting too much in the way of new images, I thought I would share yet another one from 2004. Looking back, I would say it was a pretty good year! 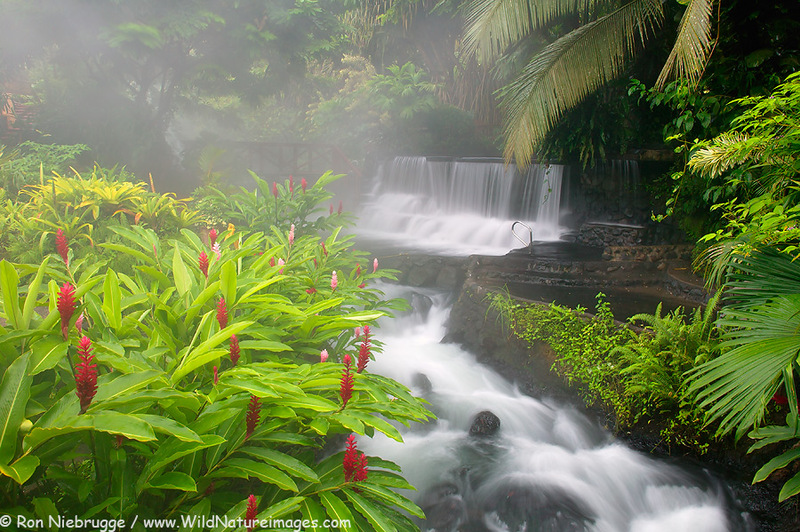 I love Costa Rica, especially the Tabacon Hot Springs pictured here. Warm, lush green rain forest and tons of wildlife! This image was the cover of a Fodor’s travel guide for the country. A hanging bridge in the rain forest, Arenal, Costa Rica.